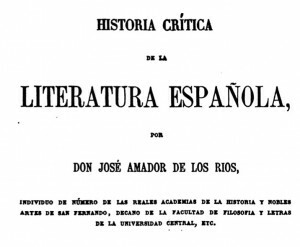 This entry was posted in Pedagogy and tagged curso panorámico, Gonzalo de Berceo, Literary history, Survey course, teaching spanish literature by David Wacks. Bookmark the permalink. David, I’m on the road and can’t compose the sort of response your essay deserves. I do agree with you and am delighted that you’re addressing this issue. My cultural studies (i.e., Latin American) colleagues banished literary surveys a decade ago and I have not been allowed to teach one. Since there are no surveys of any kind, the curriculum has collapsed into radical presentism and most our majors graduate without ever leaving the last 30 years, that is the dissatisfactions and resentments of their teachers’ adult memories. Our program has traded curriculum for social causes and the past itself has become the enemy, the place where today’s evils come from. 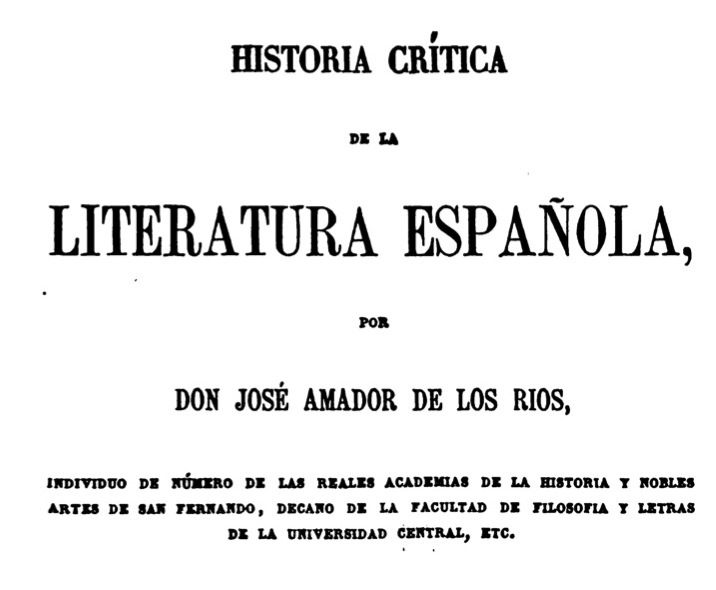 Cervantes has not been available in any form for over 12 years but neither has Lorca, Galdós, Borges, Lope, Lazarillo, Bécquer, Cortázar, Calderón, Martí, etc. All authors are skippable and all authors skipped in favor of the plight of one group or another. It’s pretty discouraging. One of the purposes of the survey is mapping a culture and its artifacts and there are lots of interesting ways to do it, including temporal mapping, and I fear that with no map at all we’re disqualifying students from continuing in this field, fulfilling the charge that what we do on the undergraduate level is a dead end. The course you teach on Spanish literature from 1100-1600 shows the lumping of the past into great spans of time that apparently deserve no more attention than 3 credits in one semester. Will we soon teach a single course on 1100-1900? 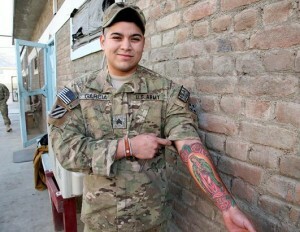 I like what you are doing, in principle if not always in the specifics. I preceded you as a grad student at Berkeley by some 40 years, and I can assure you there is nothing new in hearing undergraduates wonder aloud why the major in Spanish entails so much study of literature. As you know, many departments have recast the major, some (such as William and Mary) going quite far in the direction of an issues-based curriculum. I hope George Greenia weighs in here. Even in a fairly traditional literature major, I think you are correct to question the value of the survey course for undergraduates, even advanced ones. Surveys didn’t do what they were supposed to when I first started teaching them in the early 60’s, and I can only imagine how it is now. There is plenty of time for that on the graduate level, where they make more sense. I am happy to see discussion on this point, as examination and reaffirmation of what we are and have been doing over the years merits attention. As an academic and educator for the past 40 years I have always known that the key to teaching the “old, difficult” literature of Spain lies in our ability to make it relavent to the modern world. If one is passionate about the subject, the enthusiasm and love for the masterpieces will be transferred. I have had secondary Pre-AP and AP students over the years excited about El Cid, Lazarillo and Cervantes. 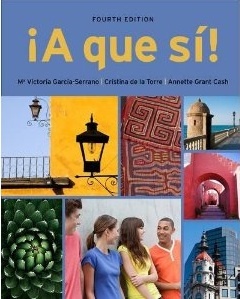 They have read pertinent excerpts in the original language and have come to enjoy the humor, life lessons and historical significance of each. I believe it is all in the “packaging,” not unlike everything else in this world. On reflection of my years as a student, one of the things I believe I missed was an understanding of just how little is new in the human story. Like most students, I was too quick to dismiss learning about things which didn’t seem to fit into my notion of what I needed to know now. So, I hope those of you in the academic world will keep working to make sure that the lessons of history are not sacrificed totally to the urge to be proficient in a language. David, I think your approach has a lot of merit. At the my Cal State institution, where we teach fairly traditional survey courses, most of our Spanish majors are native or heritage speakers. Nevertheless, in the survey courses I teach — mainly Hispanic America 1492-Independence — I’ve adopted a similar approach to yours (though I haven’t overhauled the curriculum to the same degree). I believe by its nature literature opens us to the “big questions,” so why ignore it? As an undergraduate the lit classes that were most engaging were those where the prof. was able to tap into that. I’ve found that my own classes have become more interesting, for both the students and me. And like you, I teach mostly canonical texts and integrated a good deal of historical and literary context.